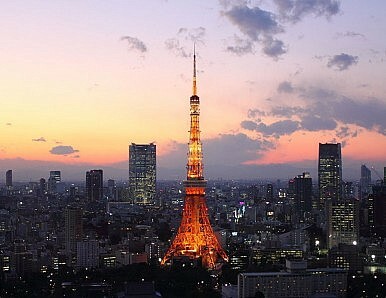 Tokyo is hoping to learn to use London and Asia as inspiration in its bid to host the 2020 Olympics. The Japanese capital is bidding to host the summer games along with Istanbul and Madrid. The final decision will be announced by the International Olympic Committee (IOC) in Buenos Aires in September 2013 and hopes are high in Japan that it will return to the city that hosted the games once before – in 1964. Tokyo is the favourite –at least according to most bookmakers – but there is a long way to go yet. Japan failed in the bid for 2016 and a lack of public enthusiasm was cited as a big reason. The challenge ahead of 2020 is to change that, especially as a recent survey had Istanbul and Madrid well ahead in this respect. The bid team pointed to the enthusiasm in Japan for the recent London Olympics and cited 480 hours of television coverage and 30 million viewers who watched the final of the women’s football in which the United States defeated Japan 2-1. Organizers are hoping that a parade of the country’s medalists (38 in total was the country’s best ever medal haul) took place on Monday in the Ginza district of Tokyo will get the pulses racing ahead of 2020. “We want to stage the parade as a token of thanks for people who have supported us from across the country," Japan Olympic Committee president Tsunekazu Takeda said. "It will be great if this will help boost the momentum of Tokyo's 2020 Olympic bid," he told Japanese media. If so, then Japan really has a good chance. Already, the odds are kinder than four years ago. Then, Japan had four rivals in the race but this time, there are only two. The Race is on for the 2024 OlympicsTokyo Pushes Ahead for 2020 Olympics Tokyo Makes Final ThreeThe Game of the Great Games: How the Olympic Fad Hurts the Postcolonial WorldWill the 2020 Olympics Really Help Tokyo?